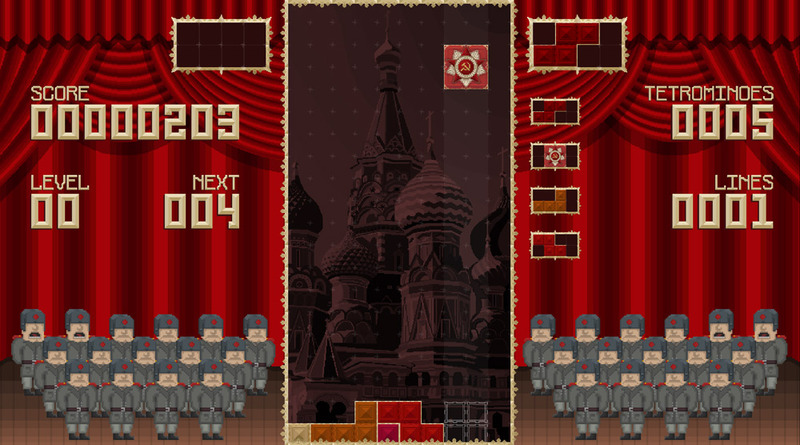 "A communist twist on the classic puzzle game of Tetris"
TETURSS is a game that most people will be familiar with the original of, of course Tetris one of the most played games ever and with a fascinating backstory behind , as Tetris was a game first created in Russia what better way to celebrate it than playing this version where a full Russian military choir sings (or perhaps chants would be to put it better) along as you try to stay afloat in this puzzle. 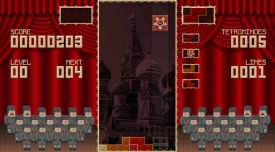 TETURSS isn't very different from the original Tetris game that it is based upon in that the objective is to fit different shapes of bricks together and then complete full lines, with each completed full line of blocks the line will exploded keeping you in the game longer but if you let the bricks reach the top of the screen then it is game over, although most people will be familiar with this it is still just as much fun and addictive as ever with some rather Russian themes although no new twists on the classic game, this is one of the most authentic free Tetris clones available. 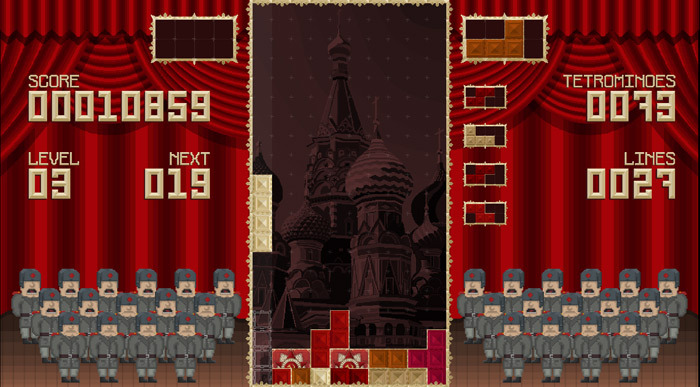 You may want to increase the difficult a little if you are an experienced Tetris player as the standard setting can be a little bit slow and easy. You can download TETURSS here for free.